South West Africa Border War, many veterans will recognise this. 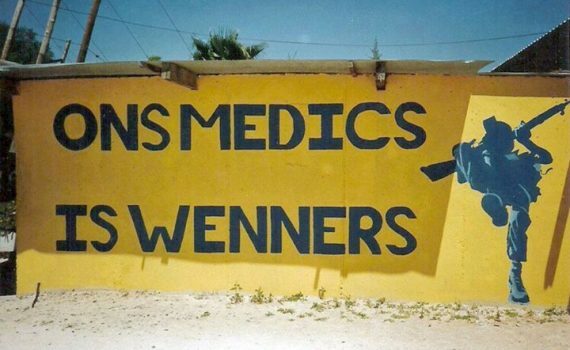 Famous Medic Mural painted on the wall at the Mobile Army Surgical Hospital at AFB Ondangwa. 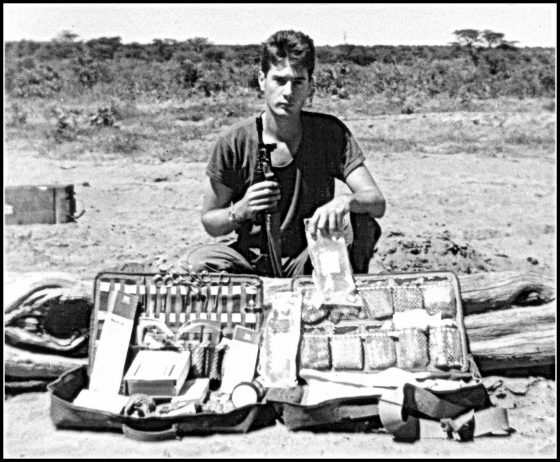 The Medic fraternity that served in this facility were Top Class and saved many lives (Both Friend and Foe) for the duration of the Bush War. Nothing short of RESPECT is given here. 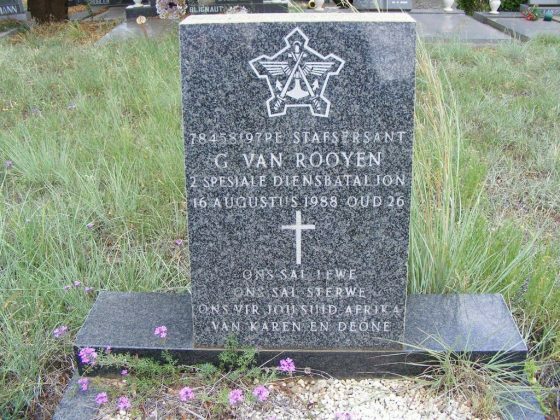 Image and caption courtesy and thanks to Graham Du Toit and his tireless work keeping this memory alive.